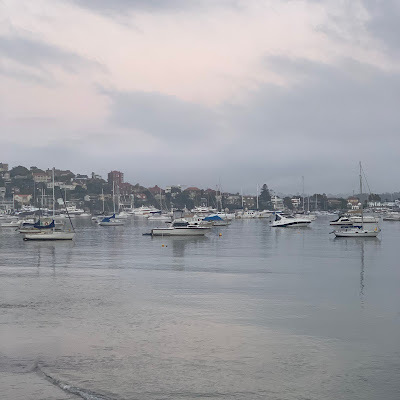 Sydney Shop Girl: Lovin' Life 17/1/2019: A Business As Usual Top 5. Lovin' Life 17/1/2019: A Business As Usual Top 5. Here's five of the things that brought joy to my everyday this week. Woolworths' sushi for dinner instead of a second frozen pizza for the week. The sun setting around 8pm these days means that I can kick pack in the back garden for a while after dinner with my book before bed. With a couple of dried figs on the last of the Christmas serviettes and a mug of peppermint tea. It really is the simple things about summer in Sydney, isn't it? 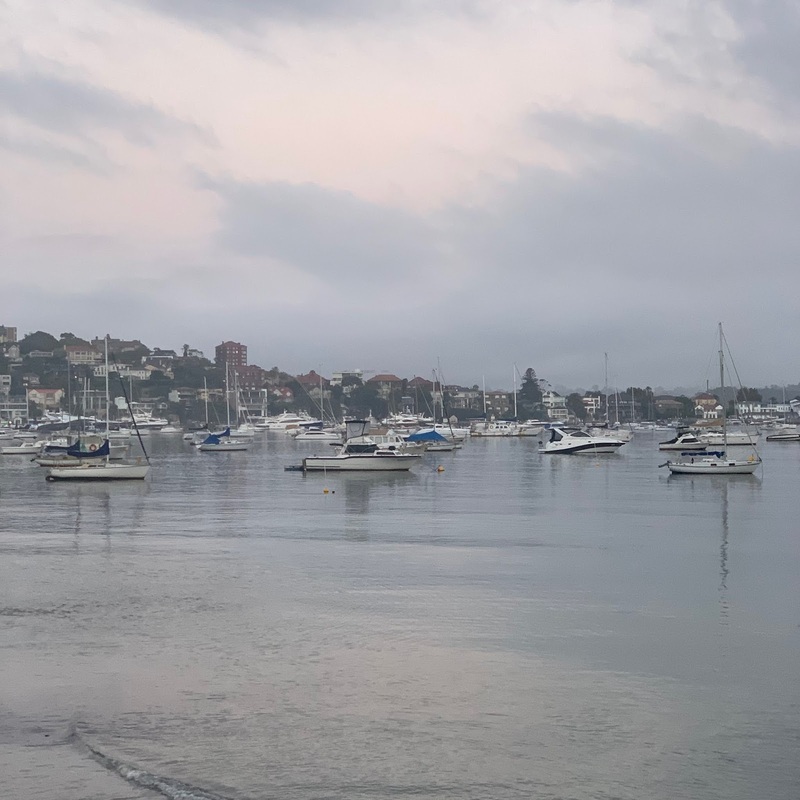 I have possibly (nay definitely) loved these Sydney summer sunrises a little too hard. It's been the summer of hill runs for me (just in case you might have missed the fact from a casual glance at all my social media channels). Predictably, my 43-year-old body has protested and even more predictably, I've been needled and taped again this week. So here I am, back at the gym on a no running week. I've just started using Apptiv which is a personal training audio app that covers a wide range of exercise types and levels. I got a 50% off promotional email a few weeks ago and have now signed up for a full year. it got me doing a soul cycle type / indoor cycling workout again and I enjoyed it!!!!! 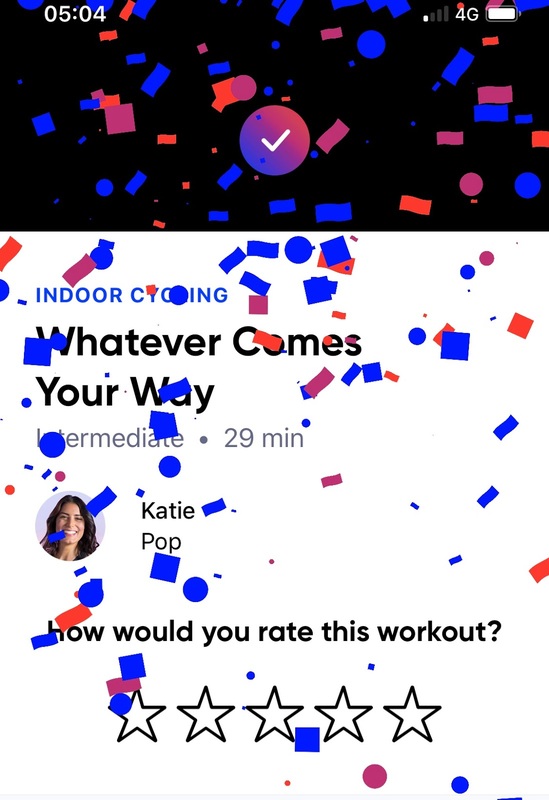 Which is what rains down on your phone screen when you finish a workout. How's back to business as usual for the new year looking for you? Nice work on the Aaptiv. I think I do better being yelled at by a big hairy tattooed coach in a non-air conditioned space while metallica is playing but to each their own, eh? Ouch to the needling and taping. I've just started attempting to make friends with hills. So far we still don't have much in common, but it dos provide new photo opps for Instagram when I stop to catch my breath and find my lung. Lots to love there SSG and I hope your no run period is quickly over so you can get back to it. Oh for daylight saving, I so wish we had it in Queensland. I've not heard of Apptiv and it sounds interesting though you sound (and look) waaaay fitter than I am. I need to get into some sort of routine. I love a handcream from TBS. I love version with a almonds oil. Good on you SSG. Making the best of all that is around you right now. I applaud you running in this weather of late but go girl. The light in the pic of the Harbour is magical. Those are some lovely things to focus on for the week! I love the late sunsets - I've been hitting the beach after work most evenings - sometimes with a beer, always with a book and swimmers. So refreshing. And yes, it's the little things that bring us most joy. Have a great weekend! 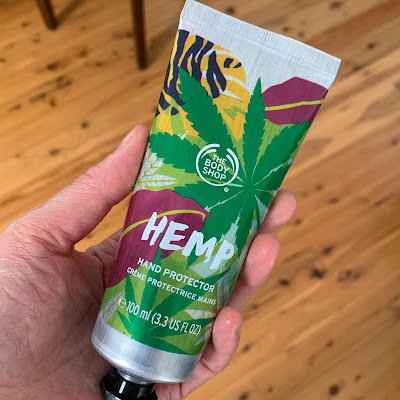 That's a pretty good endorsement for the hemp hand cream. Might have to try it! And you look AMAZING! Fab gym body. Go you! Life This Week 21/1/2019: SSG Is Out Of Office. In Which I Discover Zanzan, Amongst Other Things. Life This Week 14/1/2019: Intentions. Lovin' Life 10/1/2019: The Return of My Mug. Life This Week 7/1/2019: Hello Again. A Sentence (or Two) A Day: December 2018.